The mystery theme for today is "Savior of the world." Who could I be? That's the mystery! Go ahead and take a guess and then go enjoy your day. Check back tomorrow and I'll reveal the answer. All those who guess correctly and place their trust in him will be given eternal life. Okay, obviously it's Jesus. He fascinates me more than any other person in history. His coming was foretold by Hebrew prophets hundreds of years before his birth, but he came in a most unusual way. Born to a poor virgin in an insignificant corner of the Roman Empire, his arrival was overlooked by those who should have been watching, but announced by angels to shepherds in the night. What I like about the picture above is that it seems a little more real to me than many of the tinseled renditions. No glowing baby, no halo – rather dark and dirty and ordinary. Most people didn't recognize Jesus as anyone special. The Bible says there was nothing about his appearance to attract people to him, but many were drawn to him. Full of compassion, he spent his life teaching people how to love God and each other. Although normal in appearance, he spoke with authority and challenged the rich and powerful. He claimed to be God in a human body and was mocked for his beliefs and yet he healed the sick, gave sight to the blind, made the lame walk, and brought the dead back to life. He was loved by the unlovable and outcasts and was hated by the religious officials of his day. He was falsely accused in the night, tried, and executed, but he willingly submitted to a humiliating and painful death, offering himself as a sacrifice for the sins of the world. Proving himself to be God, he rose from the dead and then returned to Heaven promising to come again one day to judge the earth. I know Jesus was probably not born on December 25, but I can't think of a more appropriate reason to celebrate a special day. I would like to wish all my readers, but especially my regulars and posters, a most joyful and tender Christmas! I like Jesus, but I’m not a fan of how the church authorities behaved over the centuries. Well said, Nate. I agree about the picture. May you & yours be blessed this Christmas. And, I'd guess you'd really like to have it hot & sunny to dry up all that water. I would like to pose this question to your readers. 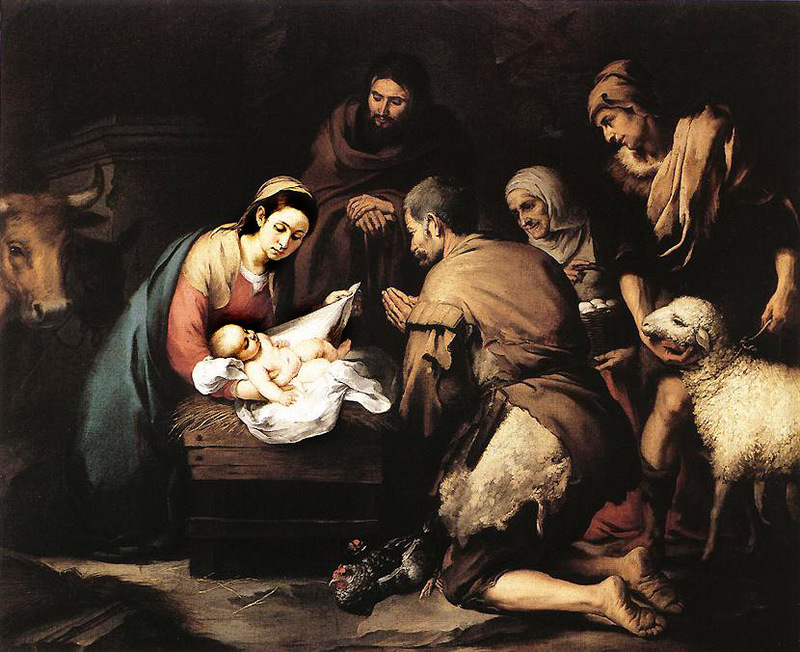 Why is it that we celebrate his birth and then nothing is said or written about him until he is an adult? Or did I miss something along the way? Thank you for the reminder of the good tidings of great joy. Merry Christmas from our home to yours Nate! Loved the picture Nate. We are enjoying a white Christmas here in western Pennsylvania. Merry Christmas to all. Merry belated Christmas, Nate. Was enjoying the day with family rather than the internet. What bothers me is the number of people who loudly profess to be a follower, and then act so hatefully toward their fellows. What part of "One God" don't they understand? Why is God different from Allah or Shiva, or Tatonka (spelling?). To say they are different, to me, means that the speaker doesn't understand God in the first place.